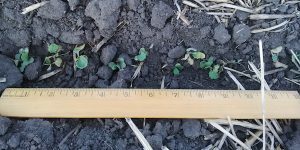 Canola seedlings at the site in Lacombe, Alberta, were hit by three -4°C frosts and one -3°C frost over a five-night period May 10-14. Yet photos taken the morning of May 16 show that a decent number of seedlings survived. The week after seeding is a good time to verify seeding depth and to check seeds and seedlings for rots and blights. Disease damaged seed and seedlings die quickly, and may be gone within a few days, which is why this timing is important to an accurate diagnosis. 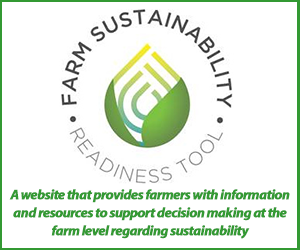 Here is how to make the flea beetle spray decision…. 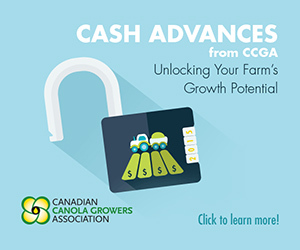 Growers will be eager to seed with the return of warm weather but early weed control also remains a priority — especially for fields that have not received any yet. 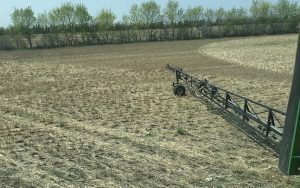 Spraying those fields now and seeding three days later will have an economic benefit given that weed competition remains a major factor in crop yield potential. 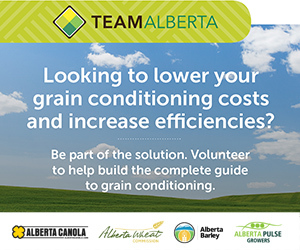 Seeding early May versus late May or early June, providing that crop conditions allow for it, is a relatively low cost way to increase yield and profit from the crop. 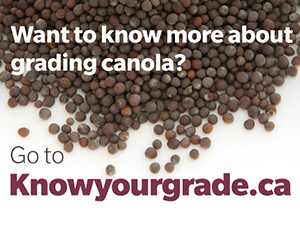 Yield potential for canola seeded in late May is not as high, generally, as canola seeded in early May, but it is still pretty good and better than for canola seeded in June. Given the current date, the argument in favour of reseeding a crop clearly thinned out and set back by frost or any other issue may have more merit.